Lunceford was born on a farm in the Evergreen community, west of the Tombigbee River, near Fulton. The 53 acre farm was owned by his parents, James and Idella. Seven months after James Melvin was born, the family moved to Oklahoma City. The family moved again to Denver where Lunceford went to high school and studied music under Wilberforce J. Whiteman, father of Paul Whiteman, a famous bandleader. As a child in Denver, he learned to play several instruments. After high school, Lunceford continued his studies at Fisk University. In 1927 as Athletic Director at Manassas High School in Memphis, TN, he formed a band called the Chickasaw Syncopators. 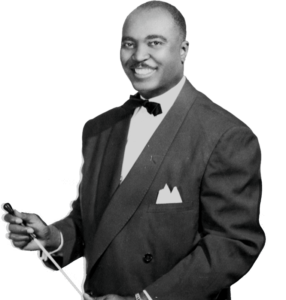 Their name was later changed to the Jimmie Lunceford Orchestra. The band went on to record famous songs as “Rhythm is Our Business”, “Wham(Re-Bop-Boom-Bam)”, and “Uptown Blues”. They also performed at the Harlem nightclub and The Cotton Club. 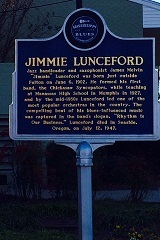 Jimmie died at the age of 45 in Seaside, Oregon before a slated performance at The Bungalow Dance Hall. 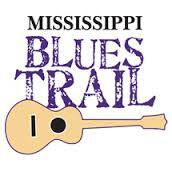 Come visit the Mississippi Blues Trail Marker and see why MS is the birthplace of the blues!